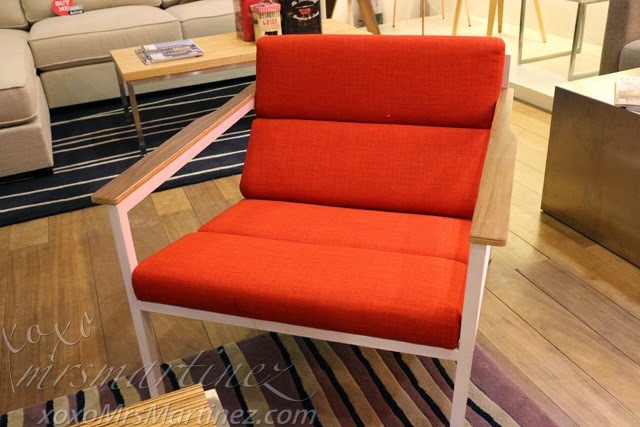 Gus Studio Manila opens its door to a new home- LRI Design Plaza. 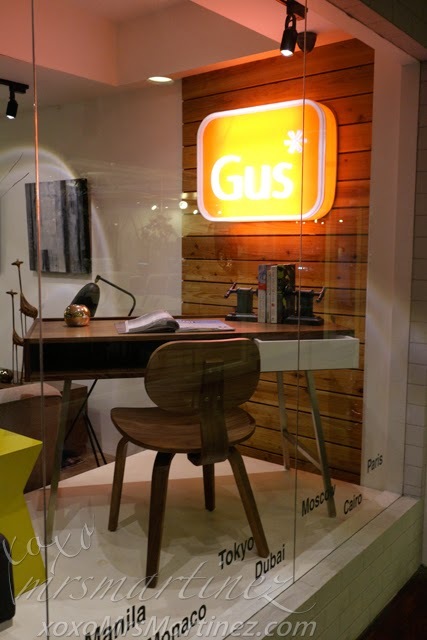 The Gus brand is brought to the Philippines by Living Space Home Furnishings. It offers wide array of sofas, sectionals, chairs and tables made with high standards of clean lines, quality and modernist feel. Anyway, I visited the studio last week and I was impressed with the designs and lay out of the furnishings. 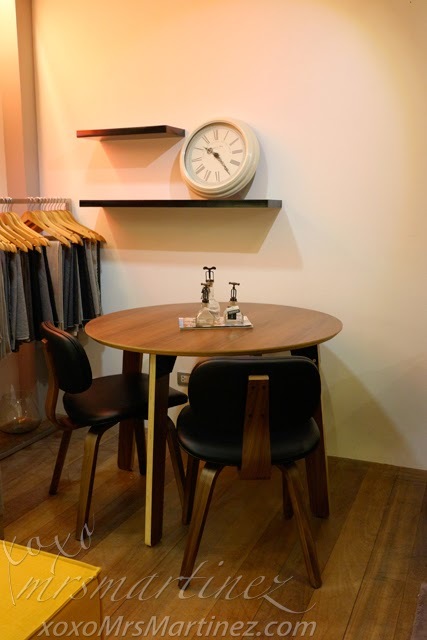 Take a look at that Junction Desk above, the size is suitable for a home office set up. There's an open storage compartment and an open trough at the back to conceal electrical wiring or cords. There's also a single push-to-open drawer that can store your pen and important papers. Thompson Chair's design is so versatile that it can be used as a dining chair, a study chair or as a standalone accent seating. Available in Walnut or Natural Oak. 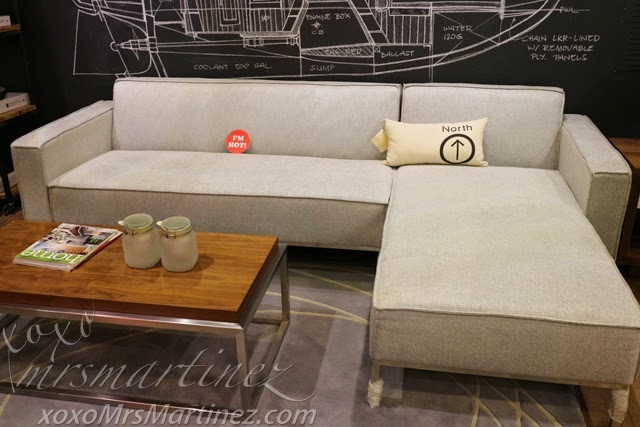 The Bolton Multi-Sectional Sofa is my favorite find at Gus. It has 19 possible configurations, definitely the most versatile furniture you'll ever own. This Timber Table is a classic and is a class on its own. 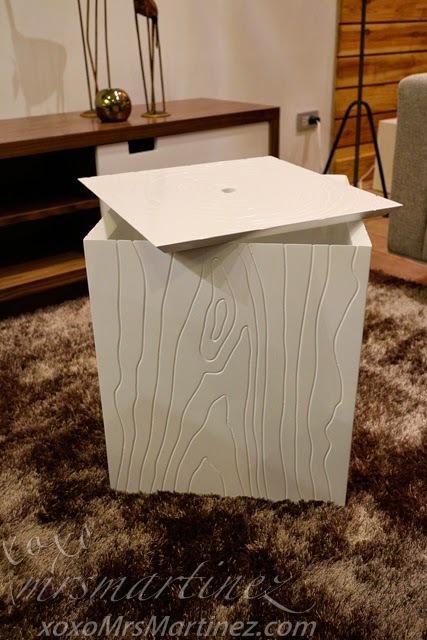 It can be flipped over to create an elegant storage solution. Perfect for small space condo living. 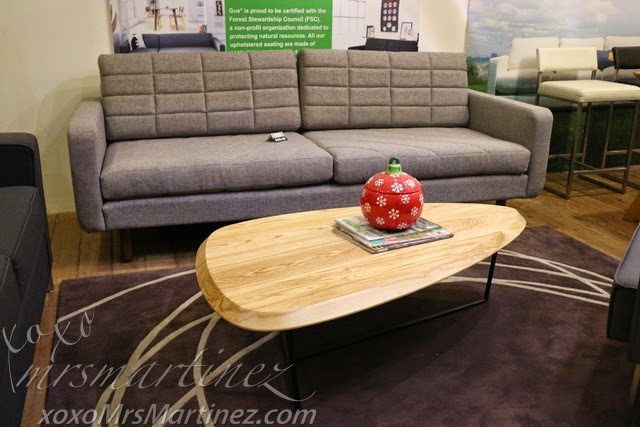 Why Switch Sofa? Because the quilted seat and back cushions have a different stitched pattern on each side. You can instantly change the pattern depending on your mood. What a creative idea! 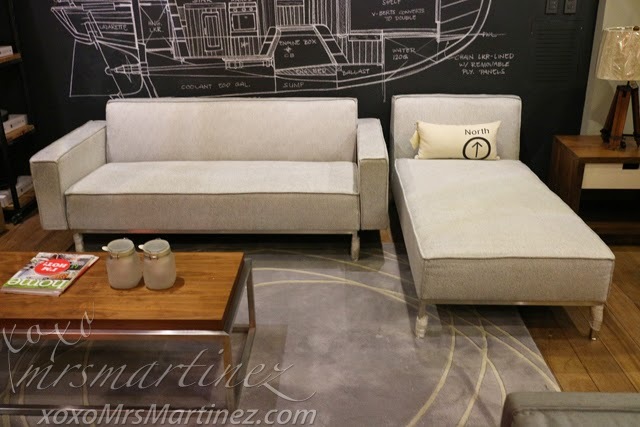 If I have to choose one furniture for my home, it would be this Wireframe Coffee Table. 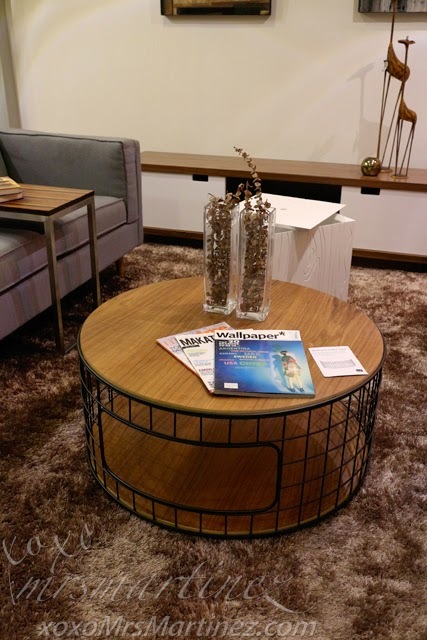 The combination of steel grid framework and walnut-finished surface is a perfect accent piece to my living room. 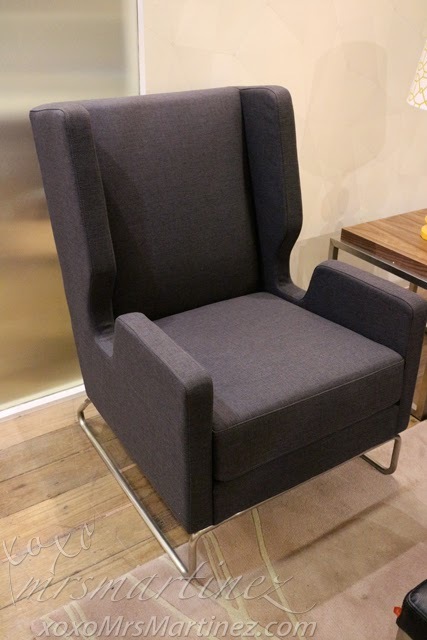 Who does not love a wingback chair?! I love the contemporary design- tubular stainless steel base and cutaway arm silhouette. 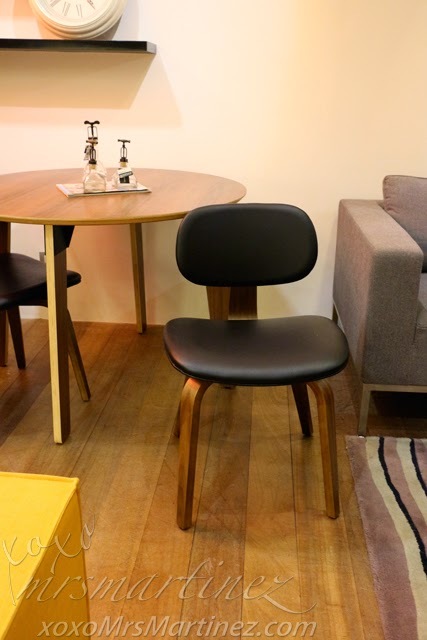 Halifax Chair is comfortable to seat on with its laid-back, industrial feel design. It is wide and the color is orange... what more can I ask for! There is no arguing that this accent chair can give your home the splash of color it needs. 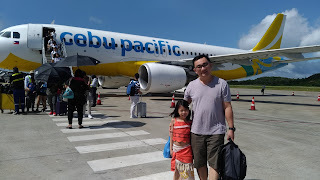 For more information, you can contact them at 753 8871, 097 563 8983. 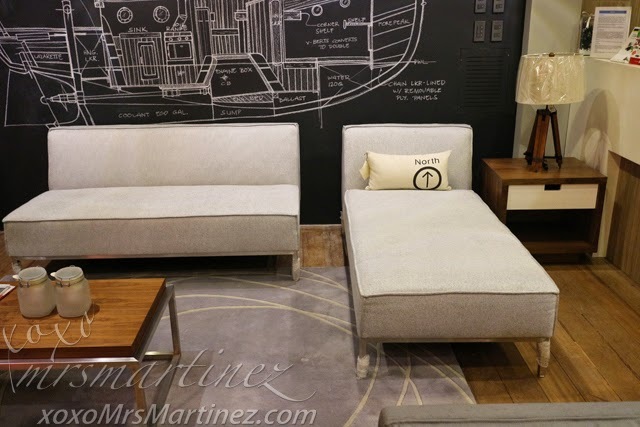 You can also email them at gus@livingspace.com.ph or info@livingspace.com.ph You can also follow Gus Modern or Gus Modern PH on Facebook.